I've been wanting to try Pioneer Saloon for such a long time, but two things deterred me - the driving distance, and the lack of parking. So imagine my excitement when I was searching online for new restaurants for a meet-up with a friend of mine, and I stumbled upon SALT at Our Kaka`ako's page and saw that Pioneer Saloon just opened up! There were so many items on the menu that sounded so delicious, but I finally decided upon the Chili Tomato Fried Chicken. 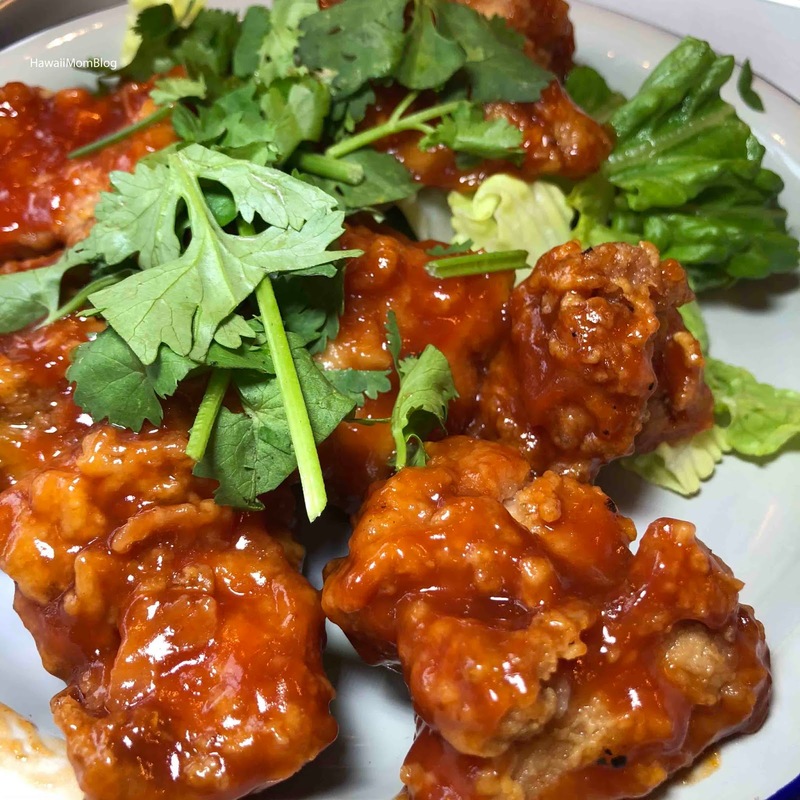 Boneless pieces of fried chicken were dipped in a tasty chili tomato sauce. I enjoyed it! 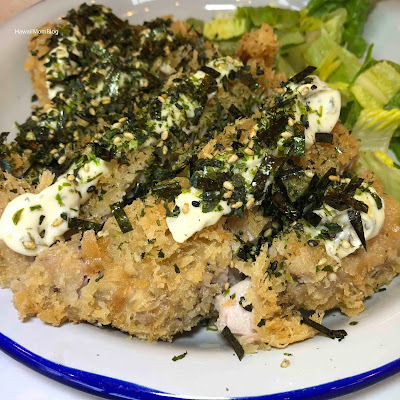 My friend enjoyed her Furikake Ahi Katsu as well, but commented that she thought it would be a little more rare. 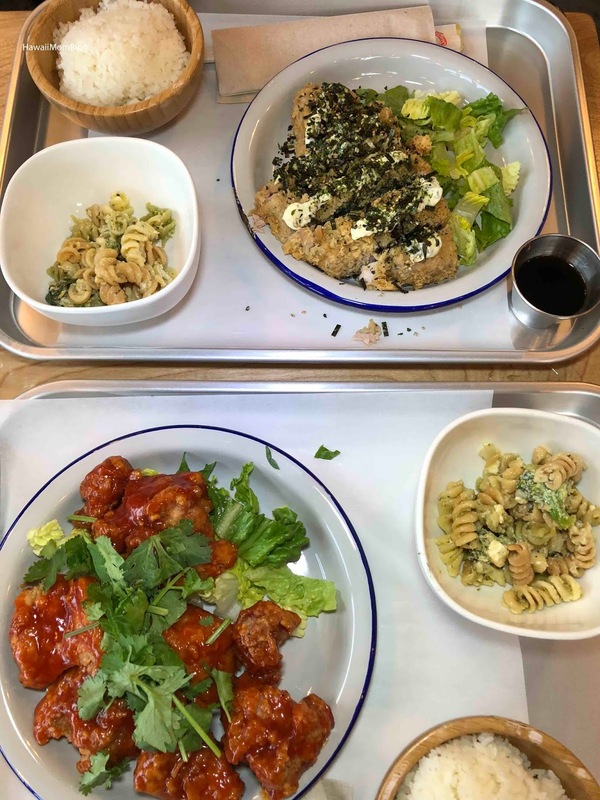 All plates come with a choice of rice and a side of the daily salad. The restaurant is small, with a limited number of tables and some counter seating, but outdoor seating is also available. Service was prompt and friendly, and I can't wait to try more food!